HBO Sports, acclaimed for its innovative programming, is teaming up again with IMG's Original Content group for a five-part documentary series chronicling tennis icon Serena Williams at a pivotal moment in her personal and professional life. BEING SERENA debuts WEDNESDAY, MAY 2 (10:00-10:30 p.m. ET/PT), exclusively on HBO, followed by other new episodes subsequent Wednesdays at the same time. The series will also be available on HBO NOW, HBO GO, HBO On Demand and partners' streaming services. BEING SERENA will give viewers unprecedented access to Williams during her pregnancy, new motherhood and marriage, while documenting her journey back to supremacy on the court. Viewers will experience her life from every angle as the intimate first-person show delves into her landmark career, family life and expanding role as a businesswoman and investor in the worlds of tech, fashion, fitness and philanthropy. 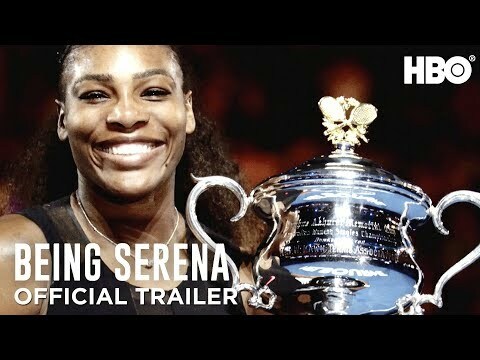 Being Serena was released on HBO 355d ago in the US. Notify me when Being Serena is available.